Does Buying Knockoff Furniture Make You a Thief? What counterfeiting really means for designers, customers, and collectors. So you want to buy a chair. One of the most famous chairs ever produced, maybe. One that hardly needs an introduction: the Eames lounger. 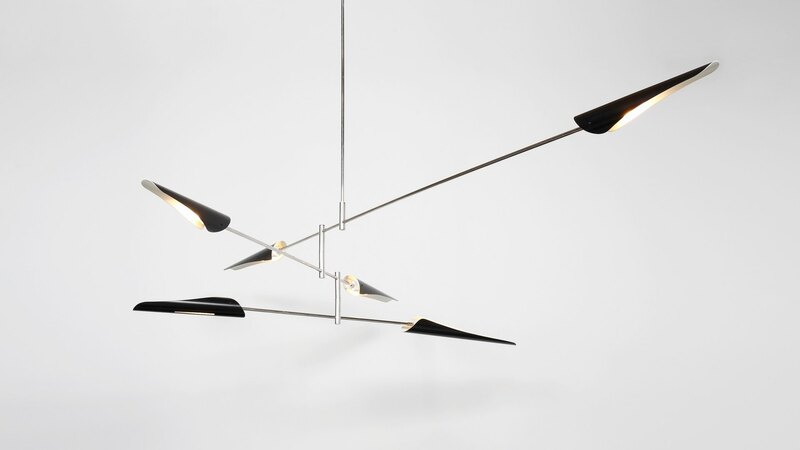 Designed in 1956 by Charles and Ray Eames, it debuted on no less prominent a stage than the Today show. Maybe you saw one in a movie, or in a catalogue, or even in the flesh, exuding quiet luxury in the corner of the most well-appointed living room you’ve ever set foot in. I need that chair, you think, so you navigate to the website of Design Within Reach, the largest U.S. distributor of products made by Herman Miller, the chair’s authorized manufacturer. You spend a leisurely 20 minutes customizing the chair to your exact specifications, feeling secure in the knowledge that this roughly $5,000 design will be something you sit in for the rest of your life. Or: maybe not. Maybe, in an attempt to see what’s out there, you find yourself on a message board hosted by the home design website Houzz, reading through hundreds of reviews. Reviews, that is, of fake Eames loungers. “The bottom line, at least for me, is that the chair represents the absolute best quality reproduction currently available that is a near EXACT replica to the original design in both appearance and comfort,” writes one satisfied customer. A few commenters tentatively suggest searching for an authentic Herman Miller Eames on eBay or through a local used-furniture business, posting once a year or so a link to Design Within Reach’s annual sale (the forum in question dates back to 2014 and is still, at the time of this writing, active with new reviews and questions). 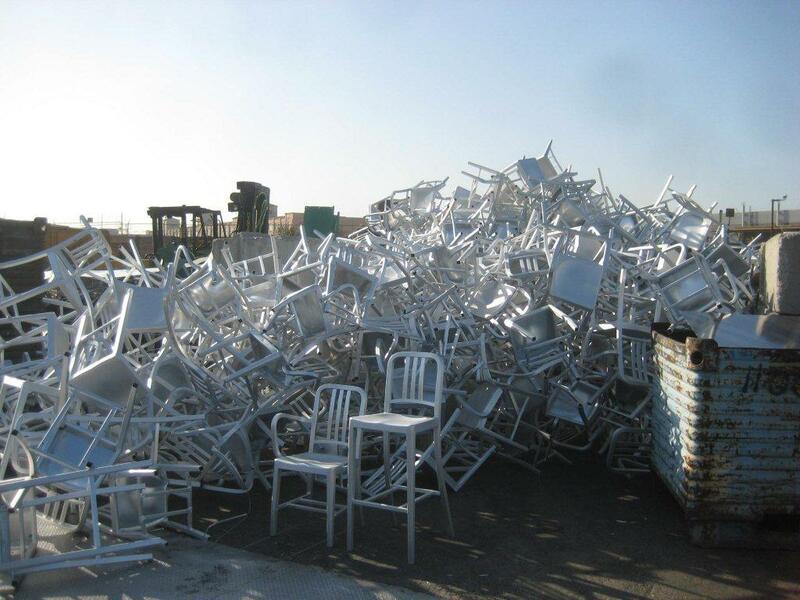 “Glad to know some of YOU still have 4–5k disposable income for a CHAIR!” an anonymous user shouted in reply in 2016. Most everyone on the forum concurs: Why spend $5,200 when you can spend $2,000? Why not save instead of splurge? But companies like Design Within Reach, Vitra, and Herman Miller say that, for them, knockoffs come with a higher price. They point to the time, money, and energy required to fight imitations of their work—litigating against mass retailers with deeper pockets, educating the buying public, training government officials at ports and borders. For heritage brands, the resources to support these initiatives are difficult to come by; for smaller independent or emerging designers—many of whom are at risk of being put out of business entirely by imitations—they come in an even shorter supply. More than just hurting the manufacturer’s bottom line, knockoffs, the argument goes, threaten the industry as a whole, and with it, the future of design itself. In some corners, however, all of that is up for debate. Does stopping knockoffs really create new opportunities for designers? How about for consumers? Isn’t this just a tactic that perpetuates the idea that when it comes to good taste, only those who can afford it can have it? Does equating “good, ethical, authentic design” with a handful of high-end furniture brands actually push the industry forward? Or is it just another way in which the industry positions itself as a gatekeeper to the world of exceptional design? And if this is really about protecting authenticity, is spending finite resources on combating counterfeits really the best answer? Or is it an unwinnable game of whack-a-mole that keeps a holistic solution perpetually out of reach? For decades, litigation was a brand owner’s primary method of combating counterfeits, but it’s not cheap, and it’s not easy. For one, mass-market retailers like Restoration Hardware and Crate & Barrel, both of whom have been accused of selling knockoffs, have deep pockets and in-house lawyers on their side. And, as the knockoff market has shifted toward a primarily online existence, it’s easier than ever for infringing operators to evade pursuit by simply changing their names. Shut one website down and another takes it place hours later. 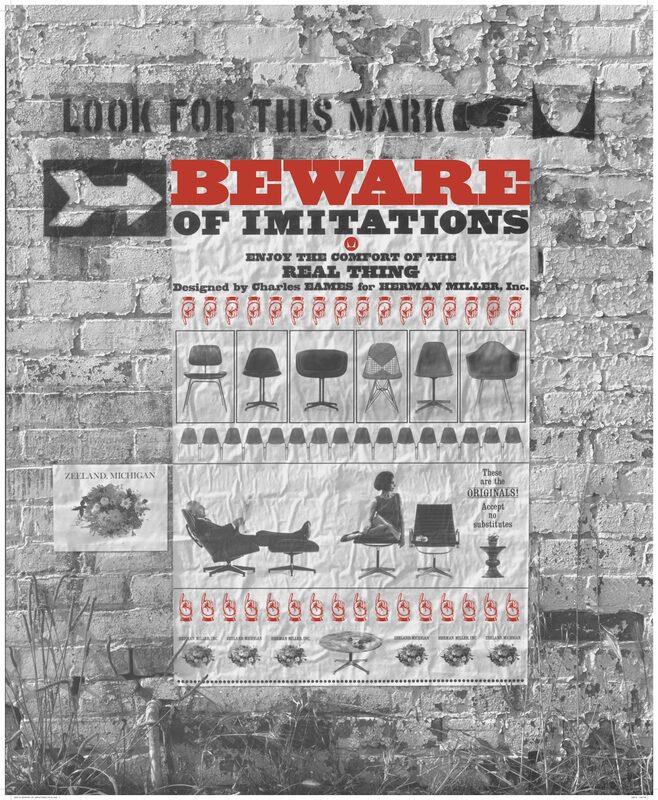 In 2012, Be Original Americas, an advocacy organization founded to raise awareness of knockoffs and their impact on the design industry [full disclosure: Surface is a media sponsor of the group], began to suggest another path forward. Instead of turning to the courts when knockoffs—most of which are made in China and come to the U.S. via ports on both coasts—appear for sale, why not try to stop them from hitting the market at all? With help from U.S. Customs and Border Protection, brands have the chance to stop counterfeit goods at more than 300 points of entry, preempting the need for expensive, time-consuming litigation by relying on structures the government already has in place to combat the importation of fakes. But this process comes with its own barriers to entry, and it, too, can be arduous and confusing. Customs agents are largely generalists, and aren’t necessarily looking for knockoff furniture specifically, says Debra Peterson, a lawyer and former Customs official. Once a brand registers and then records its trademarks with CBP, which, in the case of furniture companies, is often based on the shape or design of the product, it can begin—if it has the resources—to conduct trainings. This means turning the whole of a brand’s history into a digestible PowerPoint presentation and delivering it, in person or by broadcast, to officials around the country. For Gregg Buchbinder, who owns Emeco, the producer of the practically ubiquitous Navy chair, the training sessions conducted by his company are relatively simple: “We make it here in Hanover, Pennsylvania,” he says, so any chairs arriving at a port in a shipping container from China can be assumed to be fake. These get seized immediately and are taken to a separate facility where they wait for a possible petition from the importer. If no petition arrives, or if CBP denies one that does, then the items will be destroyed. But for companies that manufacture a wide variety of products overseas, like Vitra, headquartered in Weil am Rhein, Germany, the key is, to borrow a phrase from Charles and Ray Eames, doing the best for the most with the least. “It’s up to us to really make this training as intuitive, and as simple and effective as possible,” says Adrian Parra, head of marketing at Vitra North America. A brand might walk agents through photos of its most knocked-off products or encourage agents to look for specific signature marks or details. Or it might, as Parra does with his training materials, point out warning signs that suggest infringement—subtle shifts in structure or material, or colors or finishes not listed in a company’s official catalogue. As Buchbinder recently explained to a room full of students at Brooklyn’s Pratt Institute, one of the top schools for training new furniture, lighting, and homeware designers in the United States, fighting knockoffs takes time and money, and every hour or dollar spent on one thing means another gets less. Still, seizures rarely stop manufacturers from continuing to make and sell fake products, and the sheer volume of their import makes it an accepted fact that plenty of counterfeit pieces are still making it past the border and onto the market. So what then? “Listen, if the consumer has set out to buy a knockoff, I can’t control what the consumer does,” says John Edelman, the CEO of Design Within Reach and the new president of Be Original Americas. “That’s not going to be my consumer ever anyway. And if the argument is that they want to buy a knockoff, we’re gonna lose.” While Edelman acknowledges that fighting knockoffs does fundamentally benefit rights holders—“we’re a capitalist nation protecting the companies,” he says with a laugh—he does point to the plight of purportedly confused consumers: “It’s not nice to get your money stolen, and it’s not nice to buy something you thought was authentic, and you go home and it breaks, or you go try to resell it and it has no value.” Edelman and Buchbinder also point to the rise in ethical consumption. It’s not just that knockoffs might be made with unsafe or unfair labor practices, but also that knockoffs, even expensive ones, simply aren’t made to last forever. One good chair, they postulate, might be worth six shoddy ones. The people Edelman sees as key to the war against knockoffs are customers who purchase items they don’t know the provenance of. It’s an increasingly common problem in a world in which midcentury modern pieces have become so much a part of cultural history that to even think of them as protected designs might seem ludicrous. “When most people look at a pretty chair, they see a pretty chair, and not a chair that they recognize as originating with any particular supplier,” says New York University law professor Christopher Sprigman, who, along with UCLA law professor Kal Raustiala, wrote the book The Knockoff Economy: How Imitation Sparks Innovation. For them, the whole knockoff-versus-original argument is one that is essentially elitist, concerning only those who can afford to care about where the items that decorate their home come from. Raustiala points out that most arguments against knockoffs ignore the fact that consumers and producers have different goals: “One of the big problems with discussions of IP [intellectual property] in almost any field is that the voice and interests of the producers drowns out the very real and important interest of all of us as consumers. These need to be balanced,” he says. But it’s not just makers of famous chairs that have to contend with knockoffs. For independent designers with smaller budgets and less brand visibility, a counterfeit poses a real threat. 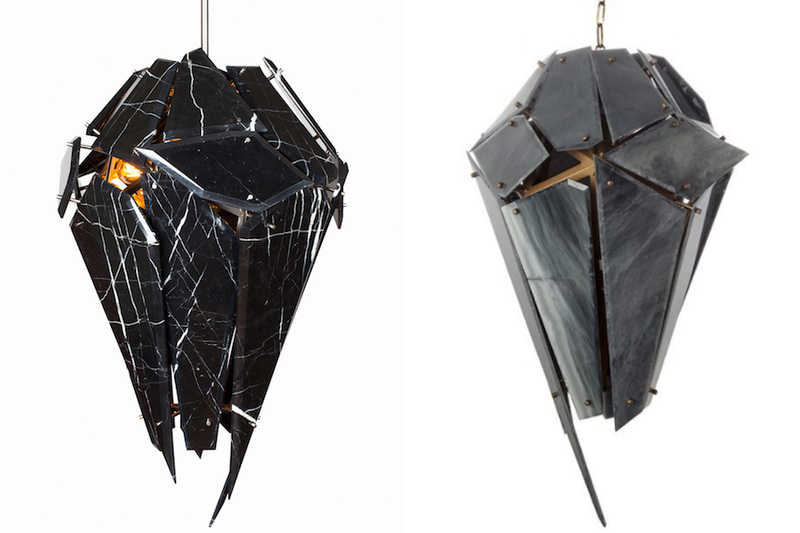 “Every now and then it turns into this critical mass, and there’s this huge backlash [against knockoffs],” says Washington, D.C.–based designer Jonah Takagi of discovering a copy of one of his lamps. “Maybe they’ll respond, maybe they won’t. But, in my experience, I feel pretty powerless.” Takagi’s sentiment is common among independent designers, whose experiences are often ignored when those eager to sell—or defend—knockoffs tout the practice as a victimless crime. There is another option available to large companies that like the work independent designers are doing, of course: “Instead of just knocking these people off,” wonders Takagi, “why don’t you send them an email and be like, ‘Hey, you want to design something?’” In some corners of the design world, that’s already happening. While these developments are encouraging, big-brand collaborations with independent designers aren’t going to stop knockoffs. It’s also worth noting that both West Elm and IKEA—who frame these collections as limited-time events—have been accused of selling furniture derivative of both independent contemporary and iconic midcentury designers, if not overt rip-offs of their creations. 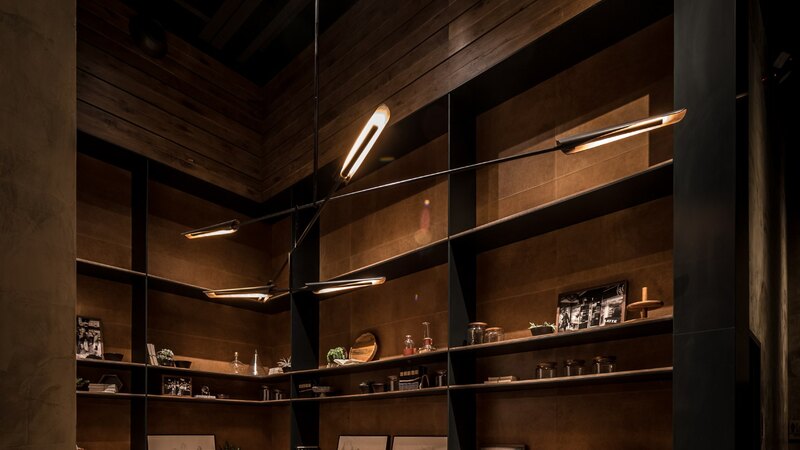 (West Elm declined to comment on these accusations; Engman, via a spokesperson, explained by email that “the IKEA view is that it is never acceptable to copy another designer’s work. Before introducing an IKEA product on any market we do our utmost to make sure we act with respect and integrity in regard to other companies and designers.”) Interestingly, there’s also a thriving corner of the internet devoted to finding cheaper versions of West Elm products and offering tips on how to transform IKEA furniture to make it resemble more expensive pieces. But as a relatively new player in a field that has been contending with knockoffs for decades, the organization’s limitations are understandable. Be Original Americas has only about 150 members; membership fees are capped at $5,000 a year; and all its board members are, like Edelman, volunteers who participate on top of other industry roles. It’s worth noting also that no major mass-market purveyor of furniture or décor—such as CB2, Target, or West Elm—is currently supporting the organization’s initiatives (they have yet to be asked), nor are they willing to comment on stories like this one, meaning companies with huge influence over how design is generated, produced, and marketed are removing themselves from the conversation entirely. High-quality, good price: The two terms are, essentially, what consumers want. But when it comes to design, who gets to define them? It’s a fact that what we call “good design” can often be expensive, which in turn can make the idea of knockoffs more seductive, even to people who know better. Groups like Be Original Americas do make a compelling case—one shoppers are contending with across a wide range of products. The assertion that authenticity matters isn’t one unique to furniture: It’s now de rigueur to know where one’s beer was brewed, or one’s coffee beans were harvested, or one’s sweater was knit. What much of the current rhetoric doesn’t address, though, is that knockoffs aren’t going to stop being made, and the people who buy them aren’t going to stop needing furniture, or wanting to feel like they own something that looks special. If brands want to truly render knockoffs irrelevant, they’re going to have to take a hard look at what they’re selling and what they’re asking for, and invite—and, if necessary, demand—more voices at the table. No matter how much that table costs.